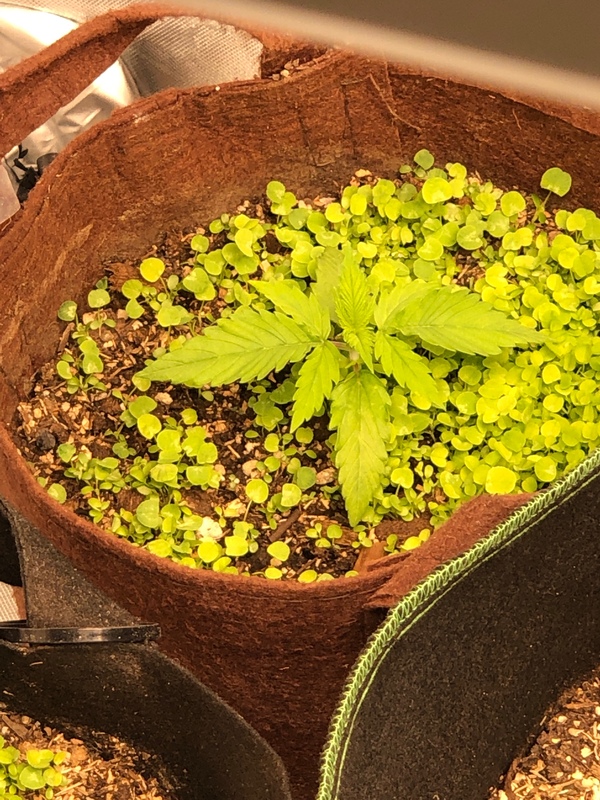 Discussion in 'Indoor Grow Journals' started by Robbie714, Jan 24, 2019. Hey everyone from the AFN and to my Good friend Gtg. 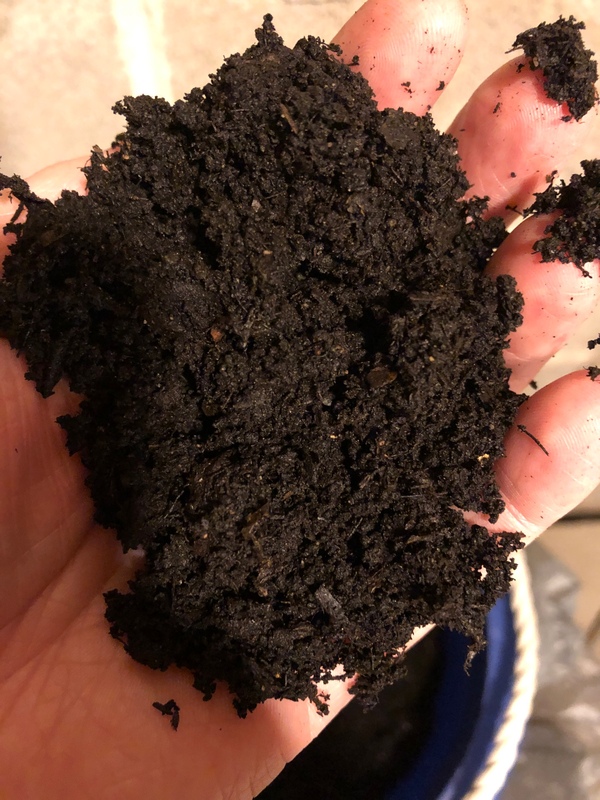 Going to be Growing No-Till using @Mountainorganics new soil Recipe of Peat moss, Malibu‘s bio dramatic compost, Pumice, perlite, Microfine Basalt, Bio Char, Ewc and garden lime to buffer PH. 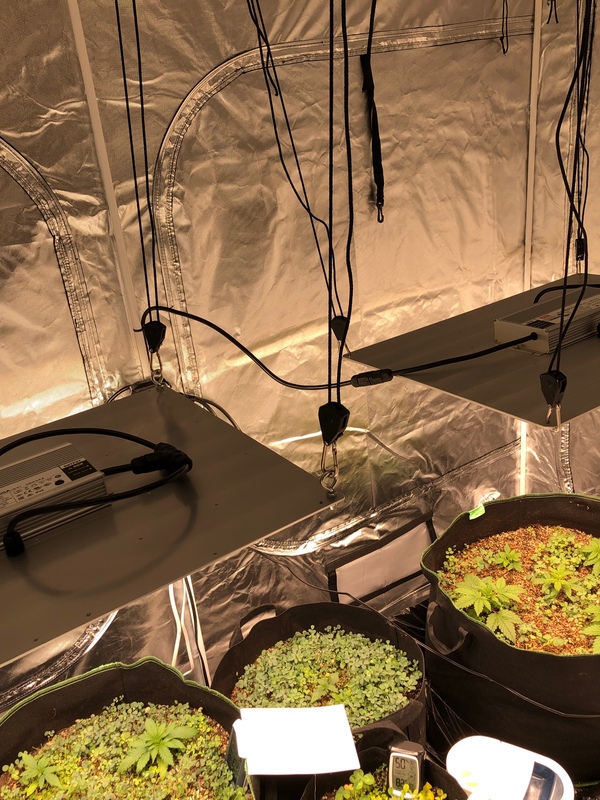 I’m currently running 5 regs from @mofoseeds Strain Maya, 5 reg Dragons Blood hash plant that’s a bleeder from Bohdi seeds, a Red Dragon fem from Barneys farm, Colorado cookies auto from Dutch passion, a Gorilla glue fem from RQS and a Brooklyn sunrise auto from DP. 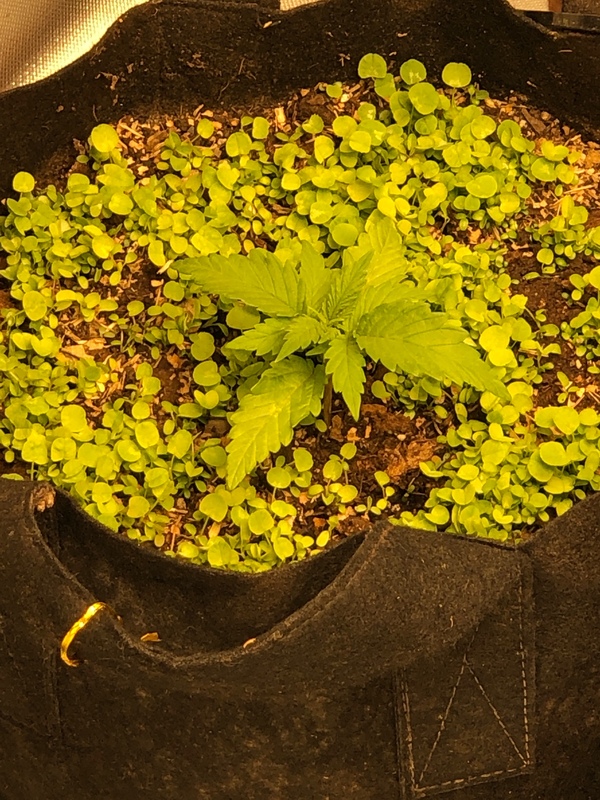 I’ll be running in a 4x8 using an HLG 550 V2 and HLG V1 and will be adding 4 HLG Elite 96’s hopefully before I flip to bloom. This is the Maya Red Dragon Dragons Blood Gorilla glue Colorado cookies today I’ll Be adding these fresh earthworm castings with nettles, horsetail, yarrow, neem leaf and comfrey as a mulch layer after I cut some of the cover crops to mulch with. 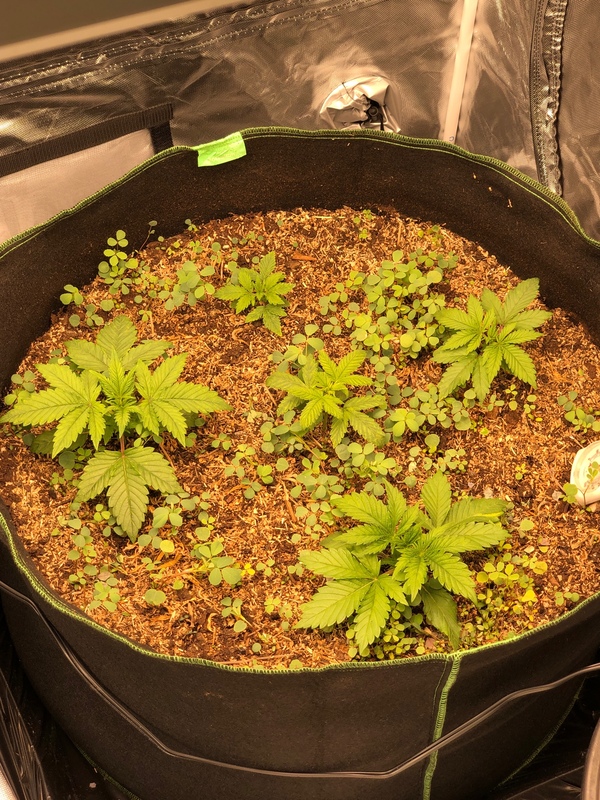 This is day 16 for the 30’s and day 12 for the red dragon and day 13 for the cookies and GG. I do IPMs every 5 to 7 days with hand crafted botanicals. This will be a before picture until I add the ewc and the accumulators and water in. they will only be feed plain tap water except when I do my IPM foiler sprays. MrOldBoy, hecno, MordecaiAlliVanAllenOshea and 4 others like this. 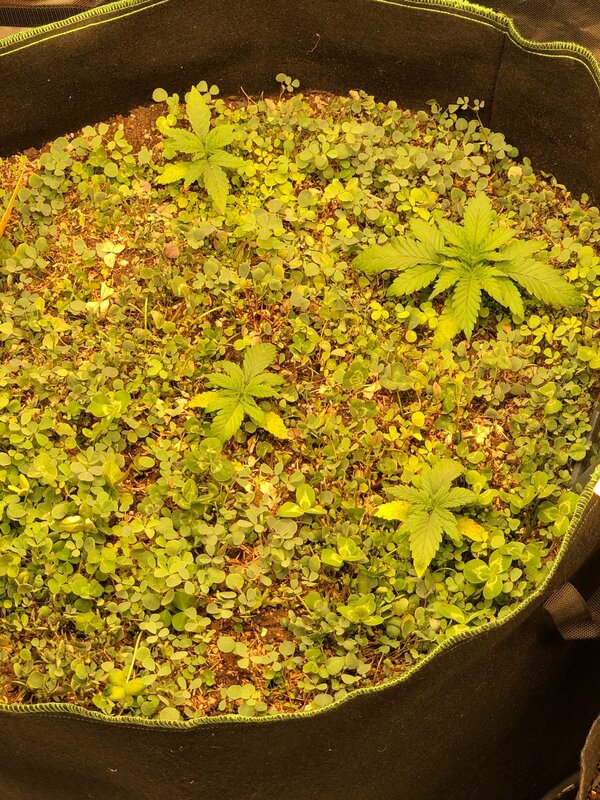 Really looking organic my friend you got that no till going on. There's a lot of cover crops it look really well. So what exactly is the cover crop for when you're running no till? There's not a whole lot of guys on here running organic like this there's a few. I think @TheMongol is running a no-till garden right now. I think I was just reading about his no till just the other day. Looks really good Robbie I'll be watching for sure learn a little bit about this No till stuff. I may not be fully organic but I'm 92% LOL... nice job. Oh yeah those lights look pretty good to man didn't you make those ? I don't think I've seen them yet. MrOldBoy, archie gemmill, dankstyle J and 2 others like this. the cover crops add nitrogen and aeration to the soil. actually I just covered a lot of the cover crop on the Dragons blood with the ewc and nettles, yarrow, neem leaf, comfrey, horsetail which is a source of silica and kelp meal and watered in. archie gemmill, dankstyle J, TheMongol and 1 other person like this. Nice lights.. I was looking at leds a few weeks ago. Those lights you have are the same lights I was looking at. New was 1049.
archie gemmill, Robbie714, dankstyle J and 1 other person like this. archie gemmill, dankstyle J, Robbie714 and 1 other person like this. Yeah it's still illegal here too thank God I don't follow no laws illegals where it's at for me been illegal since I was 12 I can't remember when I did anything legal LOL. Kind of funny you said that yesterday the cannabis Growers Association or some acronym like that?? I forget what it is seen it on the news last night though. They're suing the state of Michigan because cannabis is still a schedule 1 narcotic in this state even though we've gone completely recreational now. I didn't know that Michigan had a schedule 1 narcotic law that's like the feds schedule 1 narcotic law? archie gemmill, TheMongol, dankstyle J and 1 other person like this. Whaaaa....what a laugh just kidding Robbie But you're right, me not US more central EU here, all good bro! 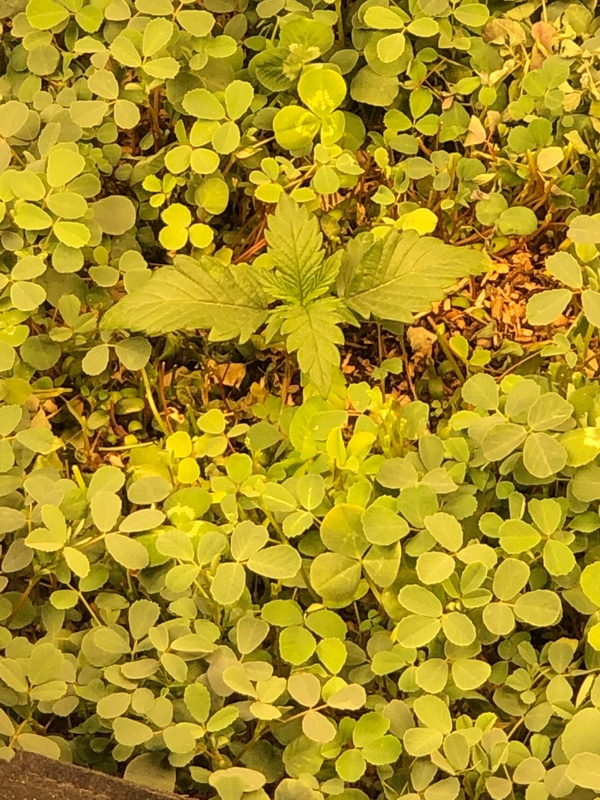 Me also organic growing, but for the clover my soil was to hot so clover said: no worky here.... time passed till me realized it, it's the Dinafem grow in my signature come on over and see ah and btw, me also QB growing and loving it! archie gemmill, Robbie714 and Growtogrow like this. I try all the damn time and I fudge it up LoL..
archie gemmill and Robbie714 like this. MrOldBoy, archie gemmill, Robbie714 and 1 other person like this.